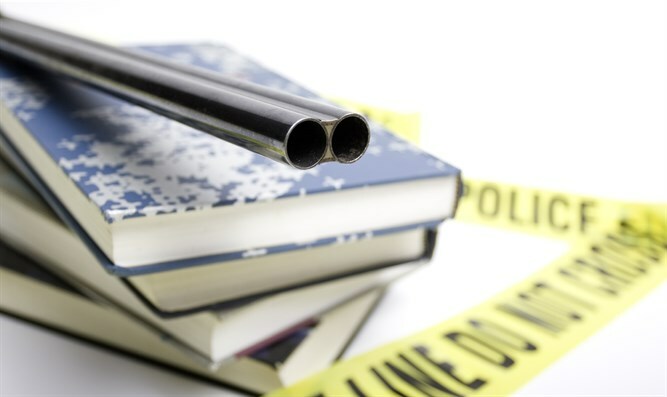 Teenage shooter walked into art class with a shotgun and opened fire. He was taken into custody. The active shooter situation is over. At least eight people have been killed in a Texas high school shooting Friday. The suspected shooter was taken into custody and the active shooter situation was said to be over. A suspect in the shooting at Santa Fe High School has been arrested, assistant principal Cris Richardson told reporters near the school. A second person has been detained as well, Harris County Sheriff Ed Gonzalez said on Twitter. He added that the death toll could rise to 10. Those killed include students and adults. Police officers responded to reports of an active shooter at Santa Fe High School around 8 a.m. CDT. The gunman was apparently a student, according to a law enforcement official cited by a local TV station. An armed person walked into an art class at the school and began firing what looked like a shotgun, a witness told CNN affiliate KTRK. According to reports, the killer walked into the class and said "Surprise!" before he began firing. Galveston County Sheriff's Maj. Douglas Hudson said units responded to reports of shots fired. "We thought it was a fire drill at first but really, the teacher said, 'Start running,'" a student told KRTK. Two seniors at the school told KHOU 11 their friend pulled the fire alarm after spotting the shooter and urged other students to run. Witnesses described students running from the school as they heard gunshots.